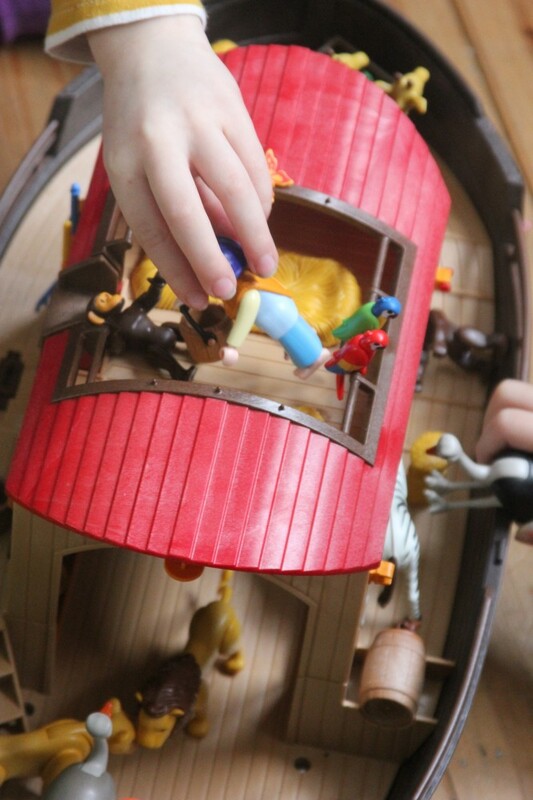 Review of the gorgeous Playmobil Noah’s Ark and Playmobil 123 Park for kids! 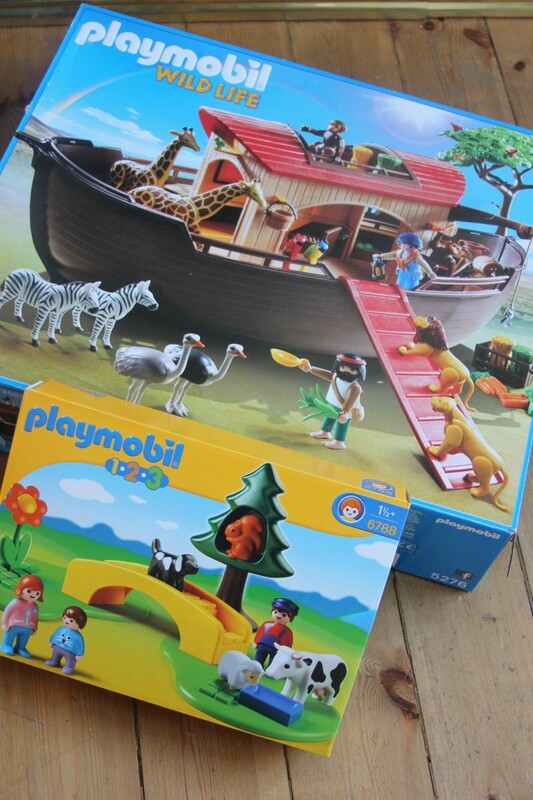 I am really happy to be an ambassador for Playmobil again this year as, quite frankly, Playmobil toys are my absolute favourite and I have been singing their praises for many years now, ever since my teaching days. 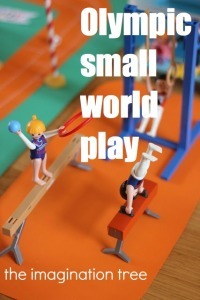 They are such great quality that my husband’s own playmobil toys remain perfectly intact and in great condition since his childhood, which was quite some time ago now! 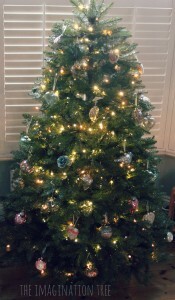 I love the attention to detail, the tiny miniature elements and the sheer joy with which they have sen made. Whoever designs these toys must love playing eve as an adult. 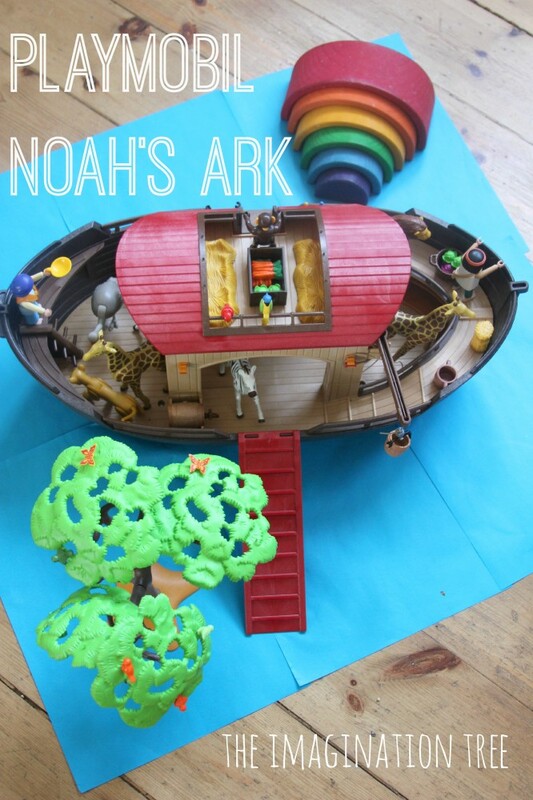 Our two newest toys to receive for review are this wonderful Noah’s Ark for the big girls and a sweet little 123 park for Bean. The 123 series is the same quality but no loose or tiny parts, so there’s no fear of anything being swallowed. 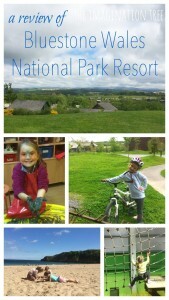 The park is nice and chunky and includes three figures and four animals, with a tree for the squirrel to sit in! Bean is actually very careful with the smaller pieces in the big sets too, so she’s fine playing with all of it, but of course yo have to know your own child. 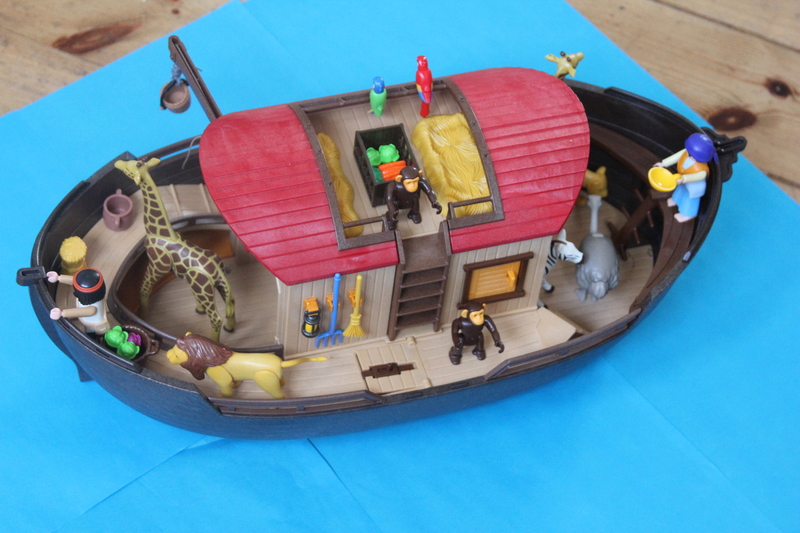 I’ve always loved the Noah’s ark toy for the lovely attention to detail such as the little rakes, brooms and buckets that attach around the sides of the main boat, the hatches, stairs and even a barrel of water with a tap. Theres a ramp for them to climb on board which slots inside the main part after it’s not needed anymore. 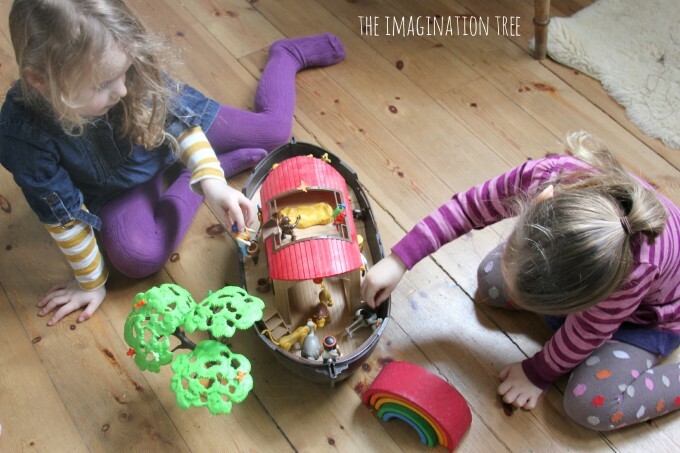 Everything has it’s own place and there is room to play on three levels. Up on the top deck theres a place for Mr and Mrs Noah to take a much-need rest on little beds of straw. It can even float on water apparently, although we haven’t tried that yet. But we certainly will be as soon as we fill the water table for outside play! I’d love to see the three sons from the story come in the box too, as well as a few more animals, although the ones which are provided are lovely and a nice variety including ostriches and parrots! 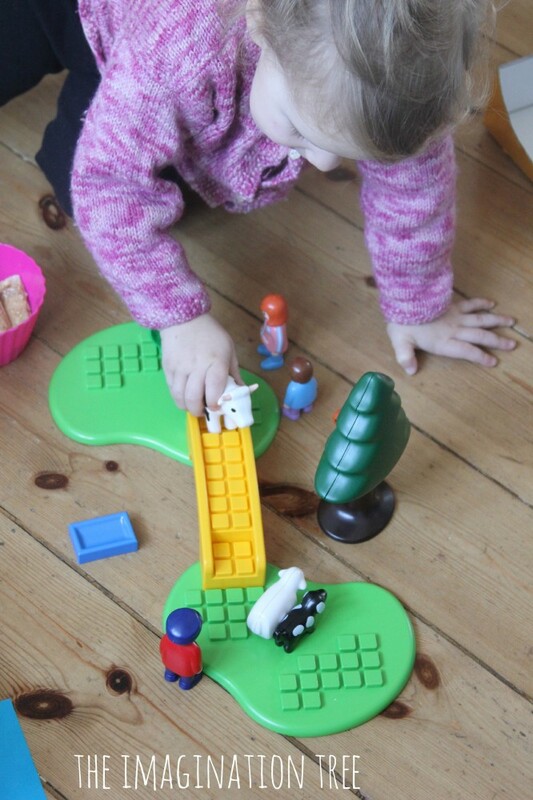 We have a lot of other Playmobil pieces so we can add more animals ourselves, as well as our wooden rainbow which was the perfect addition to complete the story! There has already been so much storytelling and wild elaboration as they play with these, so I see many happy months and years ahead with this being a staple toy in our family. 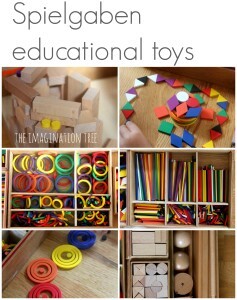 I look forward to reviewing some more toys soon! Hama Beads and a lovely new sponsor!